Federal University Oye-Ekiti (#FUOYE) has scheduled the date for the pre-degree program entrance Examination, 2018/2019 academic session. 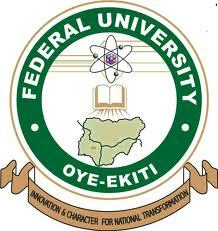 The management of the Federal University Oye-Ekiti, (FUOYE) has announced the pre-degree second round entrance examination date, time and venue for the 2018/2019 academic session. FUOYE Pre-Degree Entrance Exam Schedule. Second Entrance Examination Date: Friday, 26th October, 2018. Please ensure you print the Examination Slip.